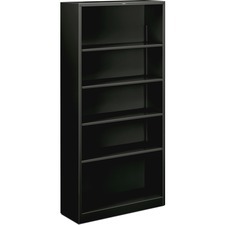 •Bookcase with 3 adjustable and 1 fixed shelves. •Available in chocolate, black, white or bark grey finish. •30W x 12D x 72H. 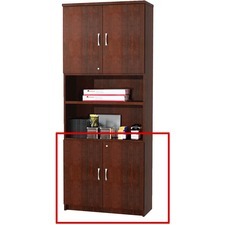 Star Zeta Bookcase Door Kit 32" x 26"
• Flexible design, can be transformed into a workbench. Safco Heavy-gauge steel frame with particle board shelves supports up to 900 Lbs per shelf.